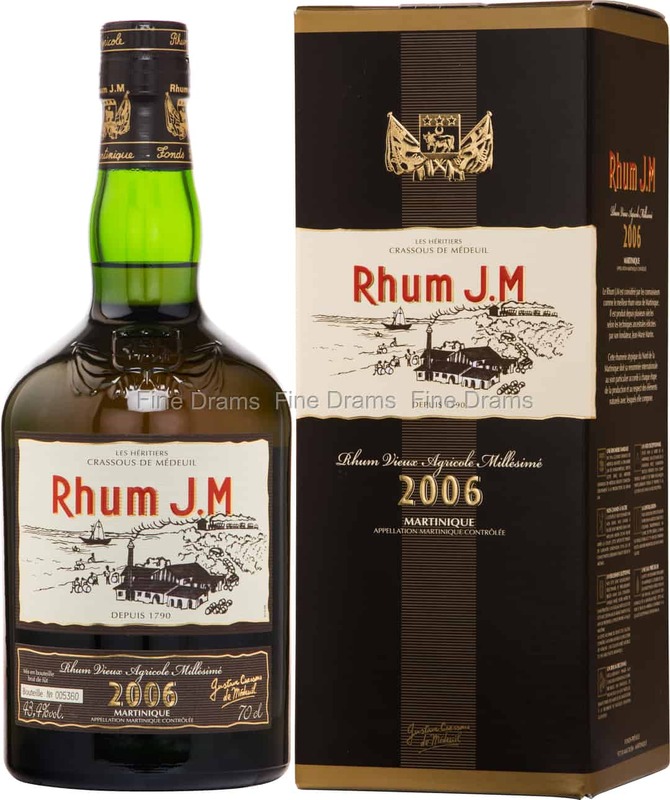 Another fantastic single vintage rhum from Martinique based distillery, Rhum J.M. This distillery has the rare honour of being surely the only producer based on the side of an active volcano, Mount Pelée. Rhum J.M. exclusively use cane that has been grown and harvested on their own estate, meaning that this single vintage release is also a single estate bottling. The volcanic soil of Mount Pelée is perfect for the cultivation of sugar cane. This spirit has been distilled in column stills, and matured in charred oak casks. The result is a completely delicious and dense rum, packed with fruit, tropical flavours. This Rhum J.M. opens with notes of dried pineapple and mango, a little leather, old oak, charred wood, vanilla, flowers, grassy cane, powdered white sugar, walnuts, dried apricot and mocha. Bottled at 43.4% ABV, and without colouration, this rum possesses a velvety, creamy mouthfeel. A Rhum Agricole of pure quality.